Space Suits: For display, demonstration, wearing, and photo-opportunity. Space Capsules from all major manned US Space Programs, built as museum replicas. 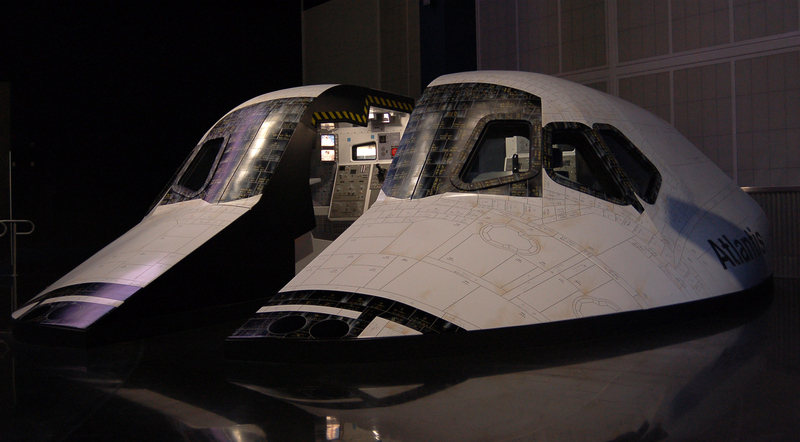 U.S. Space Shuttle Orbiters: Built as museum replicas, trainers, demonstrators, and specialty displays. 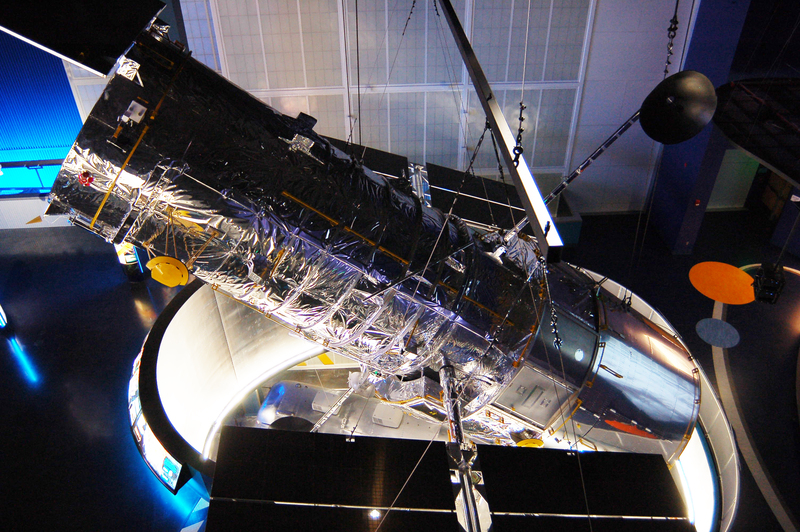 Satellites, Orbital Telescopes, and Space Probes, built as hanging museum replicas. U.S. Apollo Moon Landing Program Vehicles, built as museum replicas. Military Air Vehicles and Munitions, built as museum displays, trade show models, and training devices. Aircraft and Rockets, built as museum replicas and outdoor icons. Special photography in this article by Mitch Tartock, Guard-Lee, Inc. 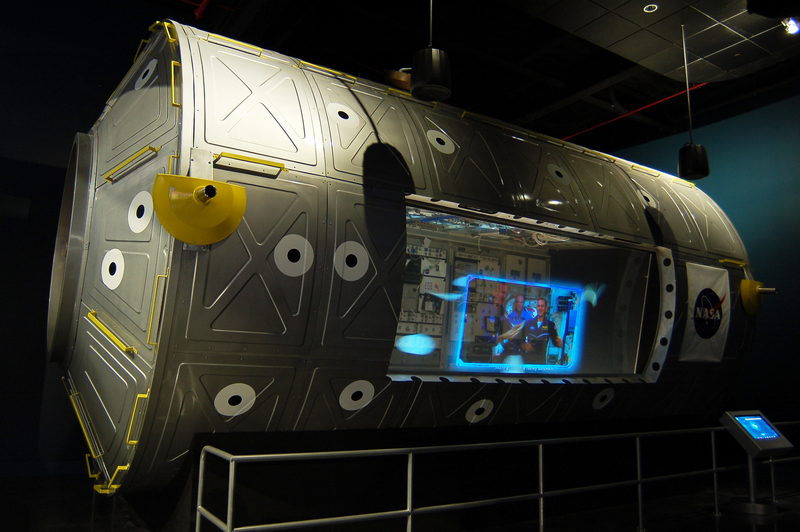 The Space Shuttle Atlantis attraction opened in June 2013 at Kennedy Space Center, Florida, USA. 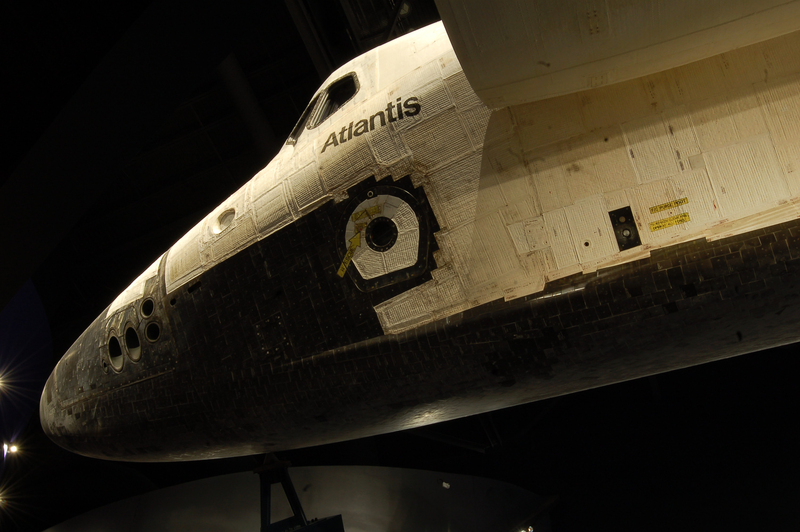 Here Atlantis is displayed in grand and dynamic fashion, and the surrounding exhibits and interactive devices tell the story of the Space Shuttle and its role in history and science. 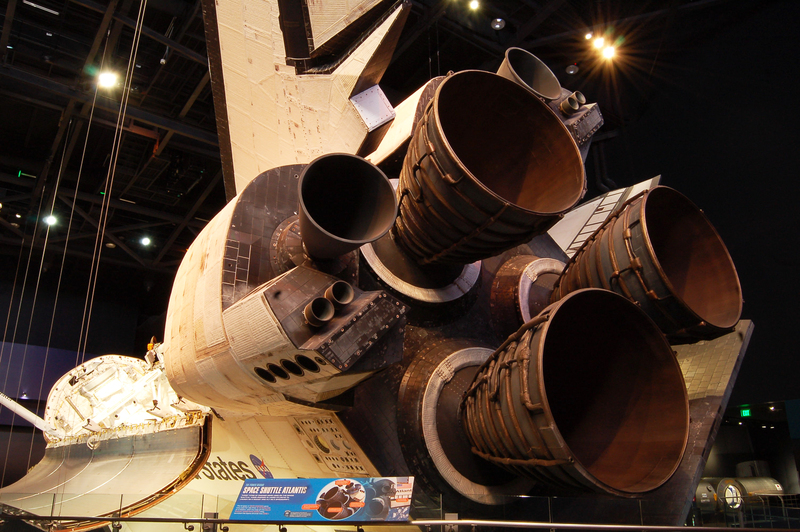 Main Engine Augments: When the Shuttle Program ended, flight-worthy Space Shuttle Main Engines (SSME) were retained by NASA for future program use. The retired Orbiters were given “test” and “engineering use only” SSME nozzles to complete them for display. Guard-Lee designed and applied artistic treatments for these engines to make them appear as flown articles. The treatment processes were eventually applied to all three retired orbital vehicles: Endeavour, Discovery, and Atlantis. 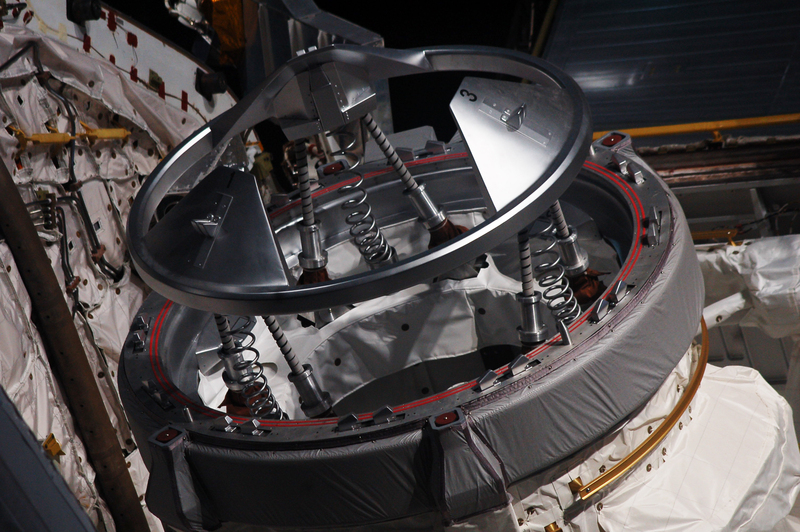 Full Scale Airlock Representation with Docking Adapter: This piece was built at Guard-Lee and installed in Atlantis by Shuttle technicians in the Orbiter Processing Facility (OPF) at Kennedy Space Center. 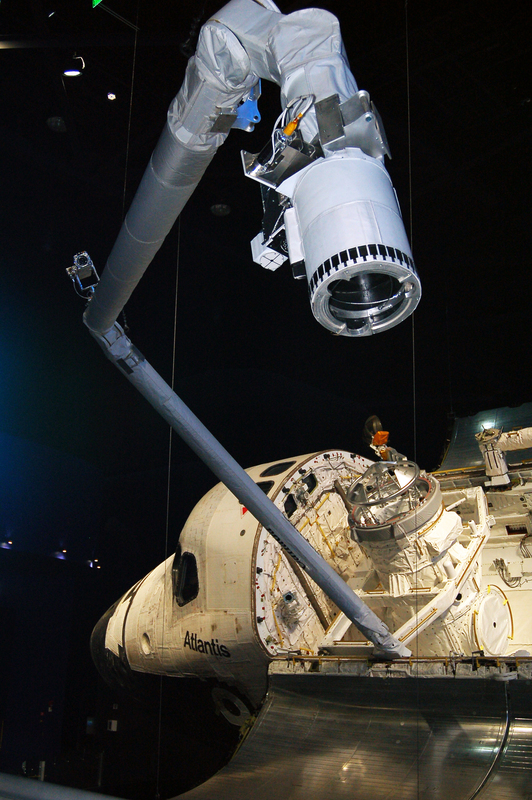 Four Replica Payload Bay Cameras: These were also installed while Atlantis was in the OPF. Full Scale RMS Arm Representation: This piece was built at Guard-Lee and installed in Atlantis just prior to the opening of the venue. 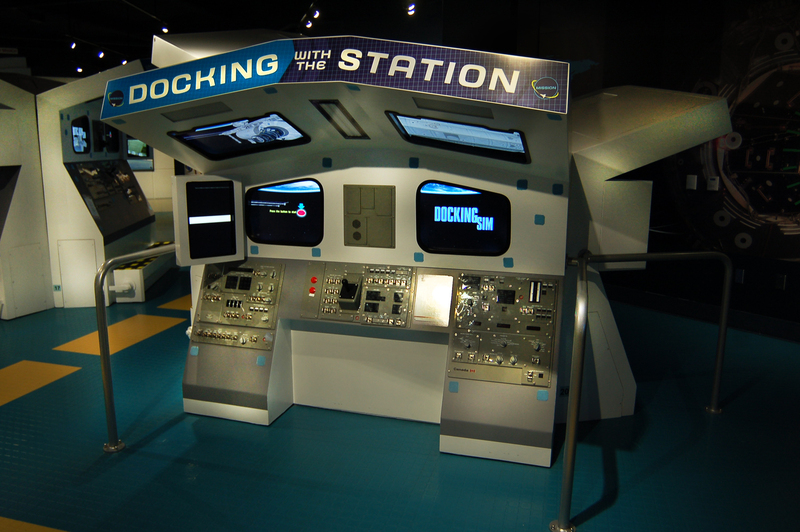 Creation of Shuttle switchpanels for the interactive simulators in the SSA “sim bay”.